In summer, everyone’s dream is the beach concept houses. 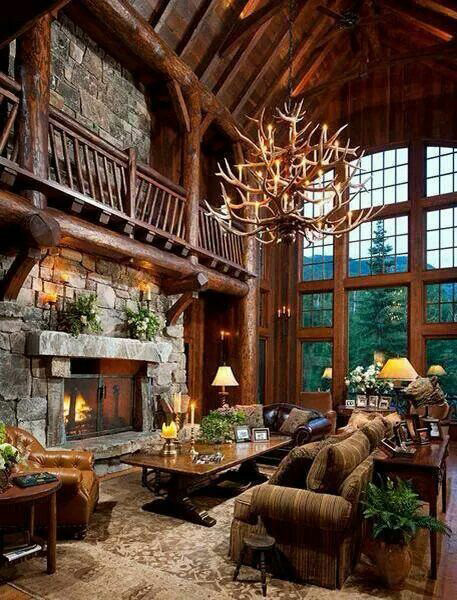 When winter comes, we dream of mountain houses with high roofs, wood and fireplace. 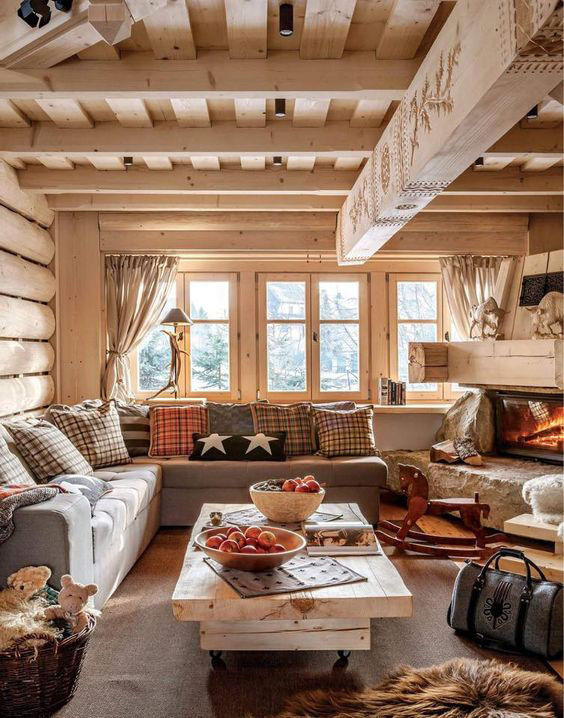 Get inspired by the houses in the Swiss Alps and take a warm decor to warm you up with chalet style decoration. 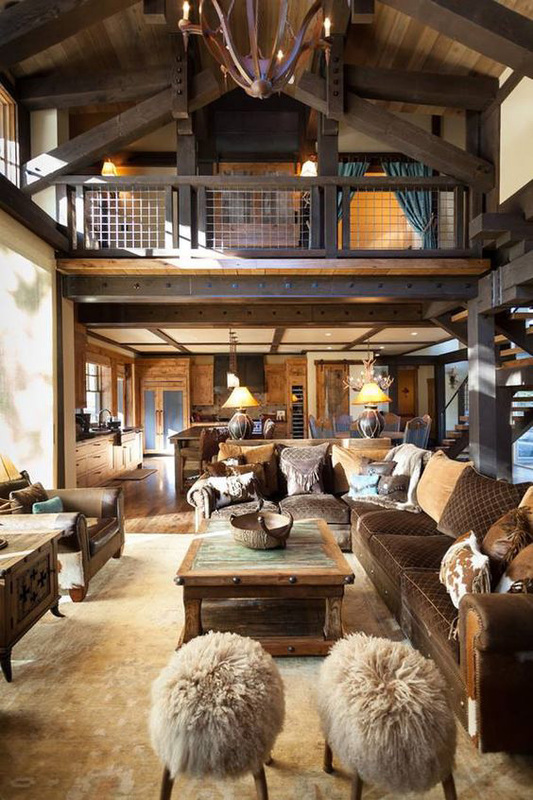 The most important element of chalet style is raw wood. 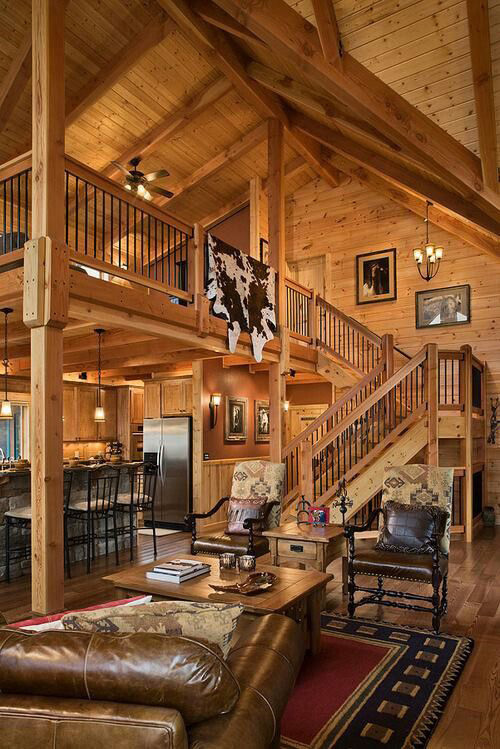 With the chalet style, which is mostly decorated in wood and has a natural decoration theme, you never feel the chill of air outside. 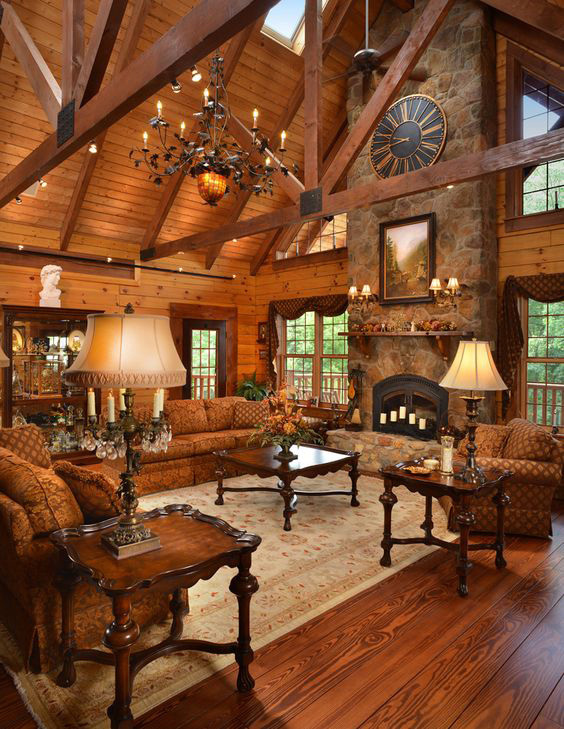 The preference of wood in furniture and accessories creates warmth and intimacy in the place. 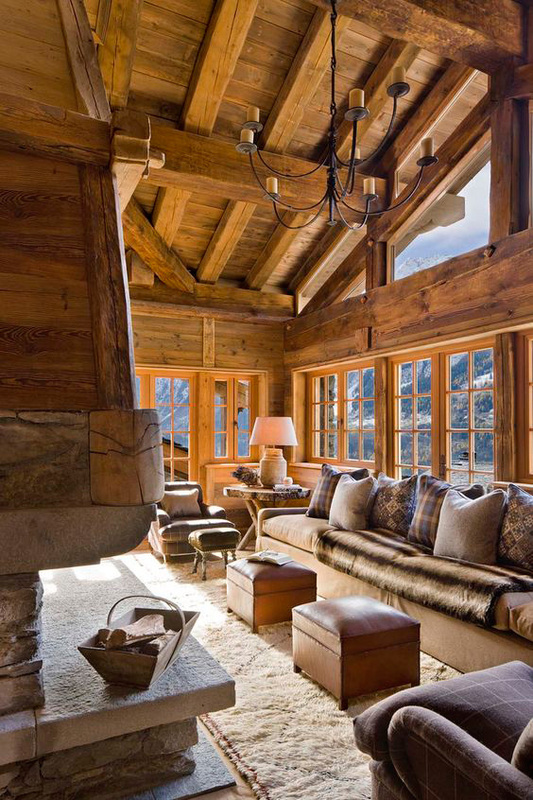 Leather sofas and furnishings decorated with soft colours are the ideal choice for chalet style. 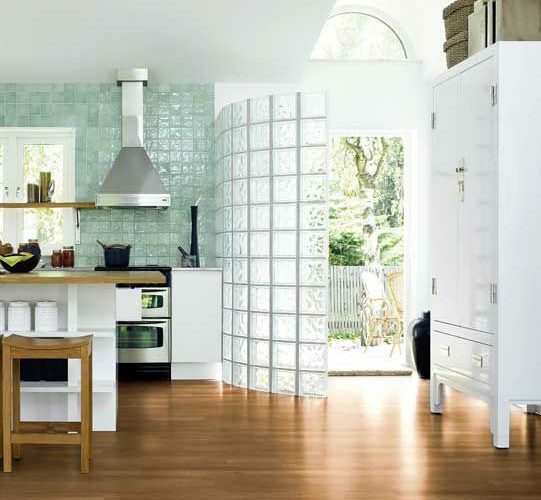 In this style, where black, white, and gray colors are used, you can add all the wood tones to the style to boost the natural structure. 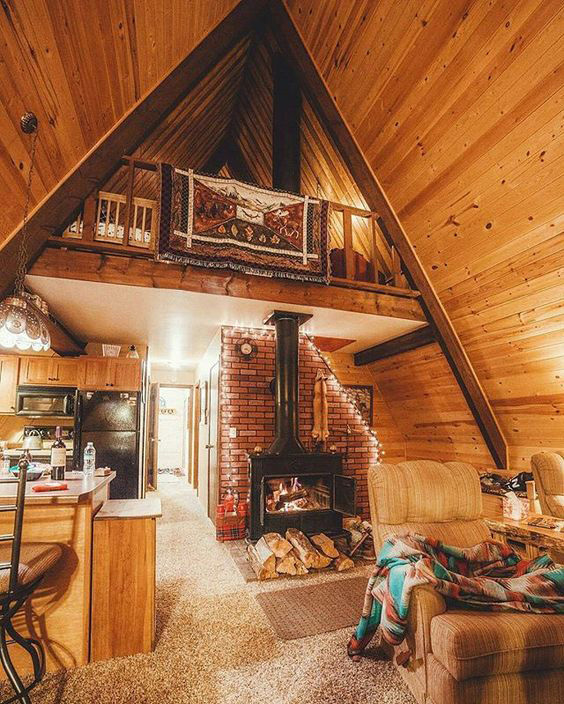 This way you can turn the place into a warmer place. 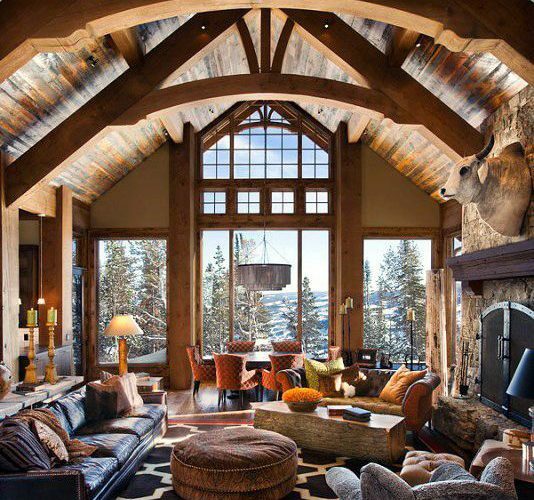 When applying chalet style decoration to your home, you must also use the details about hunting and animal. 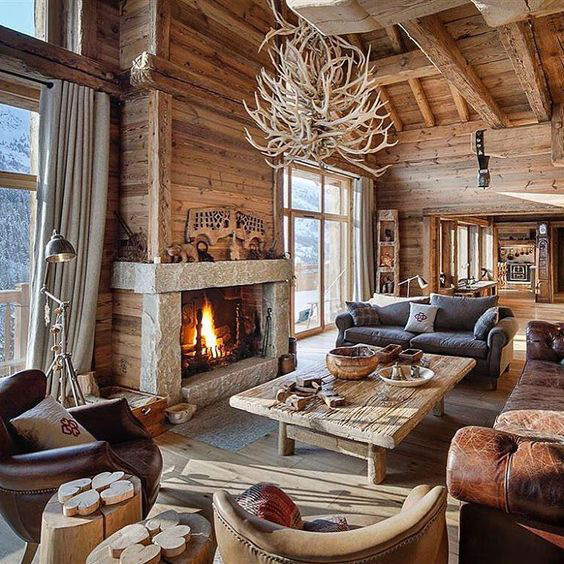 Although the decoration style made from frozen animal busts and animal skins in chalets is somewhat creepy, the details for those who love this style are important. 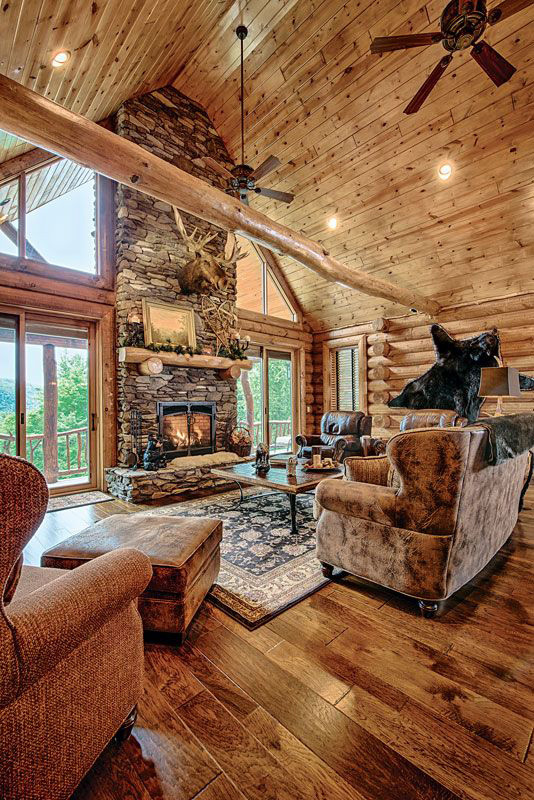 Fireplaces that heat both our bodies and the inside of the mountain houses are indispensable. 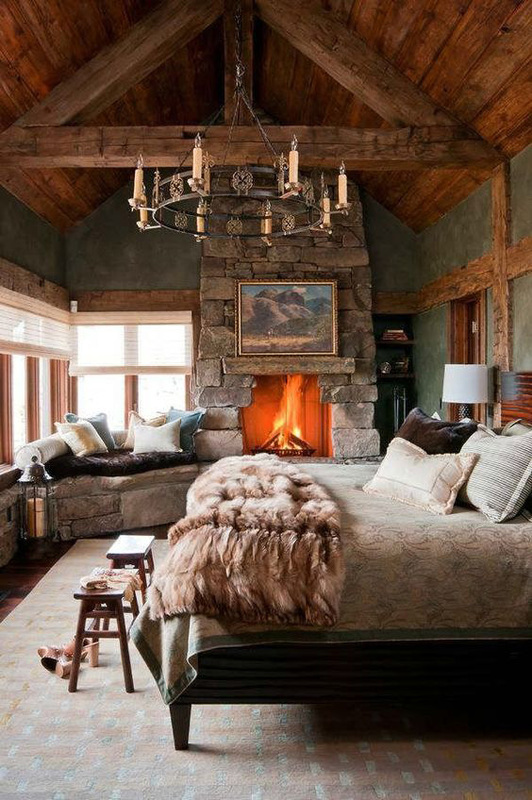 Our proposal for those who want to use this style in their homes; even if you don’t have a real fireplace, you should definitely use an electric fireplace in the decoration. 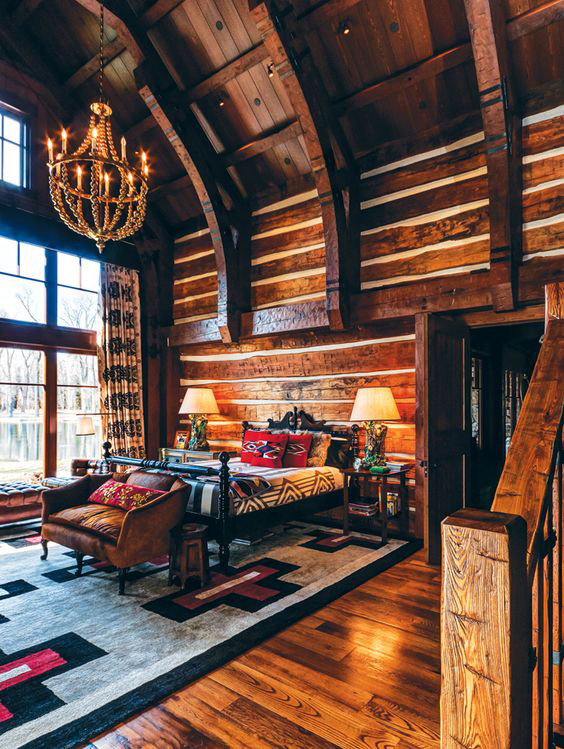 Plaid is the most used pattern in chalet style decoration. However, we often see goose feet and snowflake patterns in winter. With these patterned blankets on your couch sipping hot coffee, winter will never come to you. 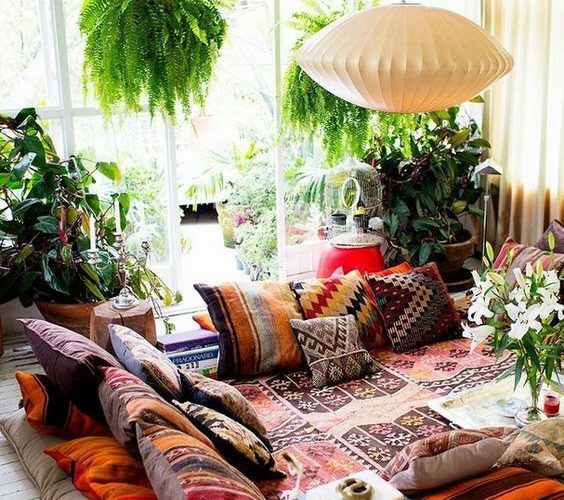 BOHEMIAN DECORATION WHAT AND HOW TO APPLY?